Go, Girl! is a woman empowerment event created by and for women which aims to bring together women with diverse stories to sit, think, talk and learn from each other. Created by Workstation in partnership with Guardian Woman, women gather monthly at Workstation Bar Beach, a co-working space in Victoria Island, to share their experiences in a safe space dedicated to them. Each month, we highlight a woman making strides in her career to learn the good and bad of her journey. This month, we featured Adaora Mbelu-Dania, Director of Trellis Group, and Founder of Socially Africa. 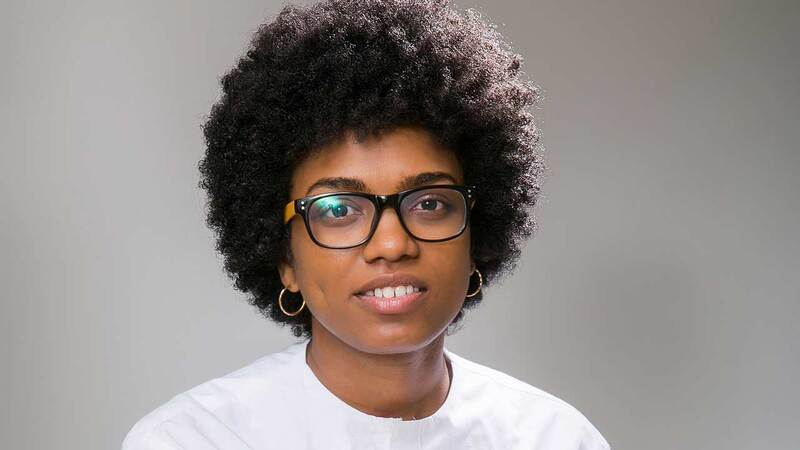 Adaora has a lovely story to share as she shared her tips for working in the strategy consulting industry, her love for helping others and advice to women struggling with life and career choices. I’M currently a Director at Trellis Group – a group of companies in the brand development and experiential marketing space that has worked on several projects across various industries, with brands such as Microsoft, Google, Budweiser, Sterling Bank, Union Bank, Nokia, Diageo amongst others. Trellis is also home to Nigeria’s Foremost Graffiti Artist, Osa Seven, Professional Violinist, GodwinStrings, Media Personalities, Denola Grey, and Tobi Bakre. I’m also founder, at Socially Africa, a foundation that gives back to the community through several initiatives. Prior to forming Trellis Group, I have worked as a content director on the following projects – United Nations World Tourism Conference, Nigeria Centenary Awards, International Conference On Peace & Security. I also worked as the project manager for Freemantle Licensed TV Shows, Nigerian Idol and Nigeria’s Got Talent, where I was responsible for managing various aspects of the show – business, brand, and production. I was also the Corporate Communications Manager for OSMI during the 2010 World Cup where I managed all communications on the broadcast rights for Nigeria. Prior to moving to Nigeria, I was a Credit Analyst at Citigroup, USA. How do you strike the perfect work-life balance? I don’t have a perfect response for this question, especially because I really don’t believe strongly in “work-life” balance. At least, I don’t believe that it must be 50/50, and thus I don’t put pressure on myself or feel that I am falling short in my other responsibilities. I take each day at a time, and give as much as I possibly can, per time, with the understanding that to whom much is given, much is expected. What did you like most about the Go, Girl! event? The people! I liked that everyone listened respectfully, and that they were enthusiastic about the session. Public speaking for me isn’t about talking at people, it’s about sharing with people. Hence, it’s important that I connect with my audience, and they leave every session feeling positive and purposeful. Go girl allows for that emotional connection – I think more conferences, and panels, need to focus on actually enriching their audience, rather than being vague and fake deep. (Shade nicely thrown). The Strategy Consulting industry is known to be highly demanding. How do you cope with challenges? sometimes means fully immersing myself in understanding the problem first, before I try to solve. I have learned to focus on the objectives, and not worry about the Fluff – there is so much fluff in the consultancy world. The most important thing to me is generating results, everything else is secondary. What inspired the idea of Socially Africa? In 2015, my co-founders and I had discussion around the importance of giving back to the community, and the concern that many young people are waiting till they have millions and consider themselves financially successful, before they start to engage in community development. We decided not to sit and complain, but to take actionable steps to rallying people together to solve some of the problems we had identified in our communities. We want to serve as inspiration to the next generation watching what we do, and how we impact our world, beyond chasing the next job, or working to feed our families. We started investing funds from our businesses into community development projects. In three years, we have executed one of our projects “Art For A Cause” in 15 schools across Nigeria, impacting over 8,000 kids. We’ve also run our code classes for teenagers, teaching basic programming to 80 teens. We have given out 1,000 Love Boxes, Hosted two food drives, and launched our volunteer platform, The Amber Circle. Socially Africa is more than an NGO, we are a movement teaching young people how to give back. What are the three key things you can’t work without? Positive Energy. Clarity Of Objective.A Good Team. Who and what motivates/inspires you to keep going? I have always been interested in helping people become the best versions of themselves, and get their greatest work out to the world. I was always told that people were using me as a stepping stone, and then abandoning ship once they were elevated. At some point, it bothered me and it was very frustrating, until I realised that it was a gift. Many people are searching for purpose, without realising that it’s staring them in the face, but they’re too afraid to accept what it is. They think it’s too glaring, and they want it to be tough to find. There is a lot of joy in watching people find their purpose and then pursue it relentlessly – this is what motivates me to keep going. What do you think about Workstation and the co-working industry? businesses, and platforms are housed. I would like to see more collaborative disruptions emanate from co-working spaces. What advice would you give women out there struggling with life and career choices? Be Patient. Time is a great storyteller. This is my mantra. I believe that we can beat many variables in life, but cannot beat time – the understanding and acceptance of this fact, brings focus, peace of mind, and ultimately joy. What is the most challenging experience you have encountered while being a Founder? I have encountered too many challenging experiences to mention one as the “most challenging.” However, if I had to pick one, it would be hiring the right people. It’s tough, but I had to learn to hire for character, and train for skill. This is the only way that has worked for me in Nigeria, all other ground is sinking sand.